"If you own a PS4, and you aren't playing Bloodborne, then you are using your PS4 wrong!" That was the final line of my Bloodborne review. PS4 exclusives have been generally better than XBoxOne exclusives, but I haven't been particularly impressed yet. Until Dawn showed some promise and might be the only other PS4 exclusive that I'd even consider recommending. I gave up on Gran Turismo when GT4 started to turn into more of a car-collecting game rather than a racing game (I describe it as "Pokemon for cars"), and I've long since burnt out of the Uncharted games. I heard good things about the Ratchet & Clank reboot, but mascot platformers aren't really my thing, so I passed on that one. And I haven't gotten to play Horizon Zero Dawn yet. 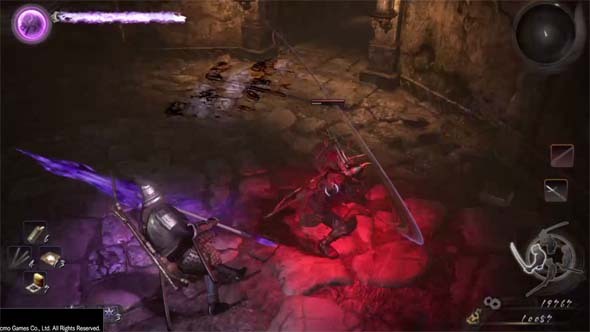 Nioh has fast, dodge-heavy combat, in which each weapon had multiple move-sets. Well now there's a new PS4-exclusive on the market, and it's supposed to be competition for the Souls-Borne series. Nioh definitely shares a lot of superficial design elements with Dark Souls, and its fast, dodge-heavy combat using weapons that have multiple movesets seems thoroughly inspired by Bloodborne. But Nioh is also heavily inspired by Ninja Gaiden, and the game feel is very close to the classic Onimusha games. Although the original Ninja Gaiden was a good game for its time (and some of the sequels have been good too), it's these Ninja Gaiden influences that start to hamper the experience for me. Nioh really started to lose me with its second true boss fight: Hino-Enma, a flying vampire and/or succubus who deals paralysis. The problem was that most damage just seemed unavoidable. All her attacks dealt damage through my blocks, which meant that dodging was the only way to keep alive. But she has a cheap spinning attack that (as far as I could tell) could not be dodged if you are in melee range when she starts the attack. All of her attacks felt considerably overpowered considering the limited (if present at all) wind-ups and cool-downs for them, especially the frustrating paralysis-inducing attacks. Even when she left openings, my attacks didn't stagger her, so she often countered with her own combo when I was in the middle of an attack, which just leeched precious more health. She just kept chipping away at my health like an arcade quarter-muncher, making the fight feel less about skill and more about just being efficient enough to defeat her before I ran out of elixirs. The only way to get more elixirs was to backtrack through the level and grind for them. 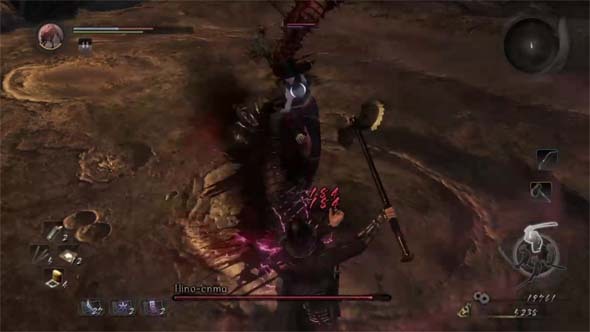 Bosses feel severely overpowered for their missions, and are tedious and uninteresting to boot.